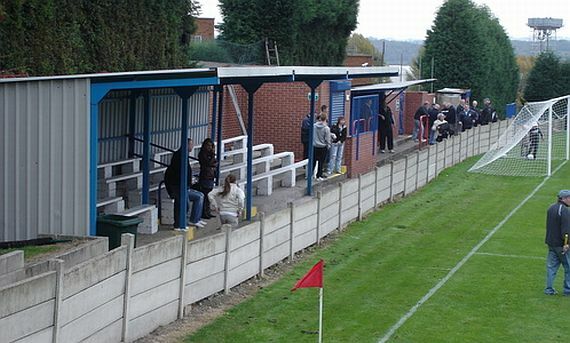 William Senior was the star of the show for Koolsport North Counties East League Premier Division leaders Parkgate as they saw off Division One club Staveley Miners Welfare at Staveley's own Inkersall Road ground. The pre-season friendly win for Staveley counted for nothing as Senior hit a hat trick for the visitors in their 3-1 win with Aymen Tahar's goal proving to be no more than a consolation for the team that knocked out Padiham in the last round. Senior got his first on 31 minutes and it was the goal that separated the two teams at half time. However, Senior doubled his, and Parkgate's, tally nine minutes into the second half, and they looked to be cruising. That all changed when Tahar pulled one back with nineteen minutes to go, but it was not to be for our team Staveley, and Senior completed his hat trick in stoppage time to take Parkside through to the next round with a 3-1 win in front of crowd of 110. The winners in the last round picked up £750 in prize money, and now the Rotherham based Parkside, have collected a further £1,500 for winning through this round. They will now be at home in the First Round Qualifying and their opponents are Warrington Town who came through their game at Bootle on Saturday. Vodkat League Bootle took a first half lead in that game through Robinson but Warrington were level at half time with a goal from Evans. Salmon scored the only goal of the second half to see Warrington through with a 2-1 win in front of 223 spectators. So it is Parkgate from the Koolsport League v Warrington Town from the Evo-Stik Division One North. The game is scheduled for Saturday 11th September at Parkgate's Roundwood Sports Complex, Rawmarsh, Rotherham. The results for the Preliminary Round are below followed by the draw for the First Round Qualifying when 66 new teams come into the competition for the first time. They are the members of the Premier Divisions of the Evo-Stik, Rymans and Zamaretto Leagues.